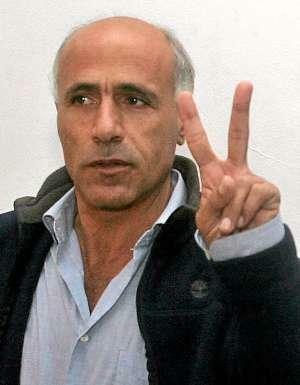 Mordechai Vanunu was released from Ashkelon prison to open air captivity in east Jerusalem on April 21, 2004 after 18 years. In 1986, Mordechai Vanunu was clubbed, drugged, bound and kidnapped from Rome by the Mossad because he told the truth and provided the photographic proof of their clandestine 7 story underground WMD facility in the Negev. “Kennedy insisted on an open internal inspection. He wrote letters demanding that Ben Guirion open up the Dimona for inspection. The French were responsible for the actual building of the Dimona. The Germans gave the money; they were feeling guilty for the Holocaust, and tried to pay their way out. Everything inside was written in French, when I was there, almost twenty years ago. “Back then, the Dimona descended seven floors underground. In 1955, Perez and Guirion met with the French to agree they would get a nuclear reactor if they fought against Egypt to control the Sinai and Suez Canal. That was the war of 1956. Eisenhower demanded that Israel leave the Sinai, but the reactor plant deal continued on. A few days before Vanunu was lured from London to Rome, where he was clubbed, drugged and kidnapped by the Mossad, he spent three days being interviewed by Nuclear Physicist, Frank Barnaby. Barnaby testified, “I found the fact that Vanunu was able to smuggle a camera and films into and out of Dimona and photograph highly sensitive areas in the establishment astonishing. I very vigorously cross-examined Vanunu, relentlessly asking the same questions in a number of different ways and at different times…I found Vanunu very straightforward about his motives for violating Israel’s secrecy laws he explained to me that he believed that both the Israeli and the world public had the right to know about the information he passed on. He seemed to me to be acting ideologically. In the 80’s, Vanunu was transported to and from his closed door trial in a crash helmet, handcuffs and leg-irons, inside a van with blacked out windows that blasted noise to assure Vanunu would not communicate with journalists or supporters. During the court hearings, two Israeli security agents flanked him at all times in order to be able to cover his mouth if he began to reveal anything they deemed secret. The public, the press and all observers-even Amnesty International- were excluded from the hearings and the court’s judgment was censored before publication. On January 25, 2006, the first day of a freedom of speech trial in Israel only two reporters from minor media showed up for Vanunu’s historic court case. Not one was in the court room on February 22, 2006, when it was revealed that Israel had gotten Microsoft to hand over all the details of Vanunu’s Hotmail account before a court order had been obtained by eluding that he was being charged for espionage.